The following is a translation of the Hungarian text of the above article (of course only the parts about our cards). 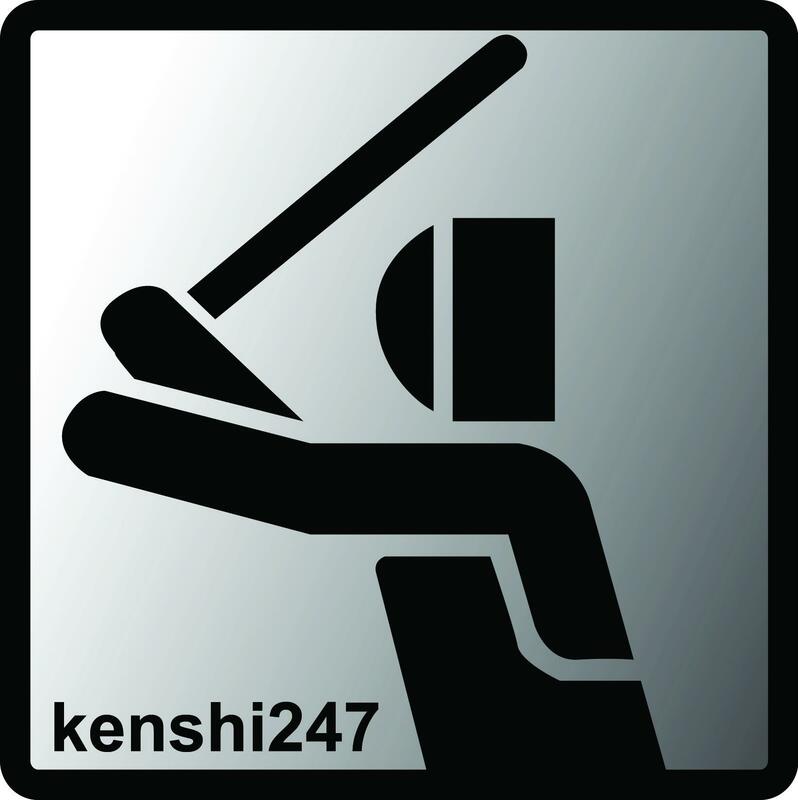 The Kendo Playing Cards is invented and developed by a 4th dan kendoka, Akos Vachter. 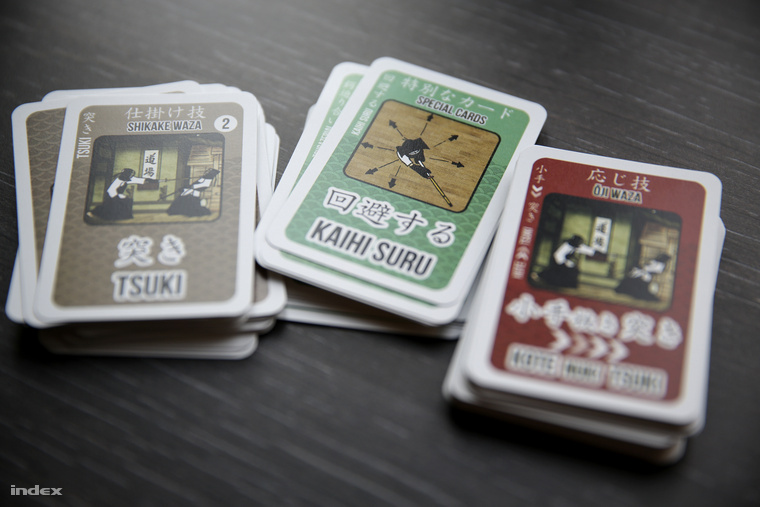 There are two versions of the game: the little bit complex one can be interesting for the intermediate players and kendokas. But at first, it’s better to start with the more simple version. For example, when playing in the easy mode, there are not any differences between the actions started when stepping backwards, and the conventional attacks, there aren’t yellow flags signing that the time is up, but it can be played by even six players, instead of two. Cognition and the understanding of the rules and the cards may take a little while, but everything will become clear for the second round. With the simple attacks (brown cards) and counterattacks (red cards) and the special green cards (pushing the opponent out of court, using jodan, immovable mind, empty mind, etc. ) the players can prevaricate in an excellent way, and there is also a card which takes it all, as the Lola-T in the old racing car playing cards. The game was designed to cover the real kendo movements and opportunities during fencing, so every part of the game is based on reality. Anyone, who has ever seen a kendo competition, can feel the rhythm of these bouts when playing with the cards. At first less than a thousand pieces have been made and the designer mainly wanted to make it available at the international market, so we can see Japanese texts on the cards too. It is excellent for spreading information as well, but primarily it will appreciated the most by people, who are originally big fans of Japanese culture. Kendo simulation game with playing cards, which can also be played by those, who see dojos only when Ryu or Songoku are jumping around on the TV screen. Maybe, the graphics could be more spectacular – but the question is: how far would it distract the attention from the tactics if there were manga-girls wearing miniskirts on the cards?